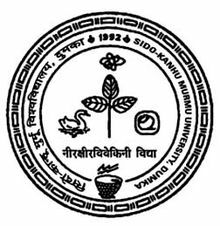 Sido Kanhu Murmu University was established in the year of 1992 by an act of Bihar Legislative Assembly. It is situated in Dumka, Jharkhand. Sido Kanhu Murmu University provides various UG and PG courses from different streams. Admission will be offered in B.A. (Hons. ), B.Sc. (Hons. 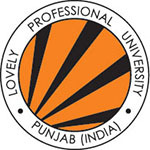 ), B.A., B.Sc., BLIS, M.A., M.Sc., MCA, M.Com, MBA and Ph.D. courses at UG, PG & Doctorate level. Applier candidates can apply for application online by visiting the official website. Candidate’s selection will be done based on their performance in the respective Entrance Examinations. 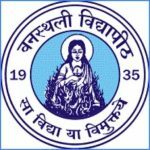 In this article information related to Sido Kanhu Murmu University, 2019 includes Application form & fees, Eligibility Criteria, Exam dates, and How to apply. Candidates can apply for an application form online by visiting the official website. In Sido Kanhu Murmu University 2019 application form, fill all personal and qualification details in it. In this section, candidates can check details about Sido Kanhu Murmu University 2019 Application Form mode, dates, fee, upload documents, etc. Sido Kanhu Murmu University Application Form 2019 can be filled through online mode. Candidates can get offline Sido Kanhu Murmu University 2019 application form from the University office. Candidates can fill the Sido Kanhu Murmu University Online Application 2019 from the month of March 2019. Enter all appropriate details in the application form, check all details written in it before submitting. After filling, application candidates should upload their scanned photograph & signature in asked format. Candidates should save the printed copy of the filled application for further references. 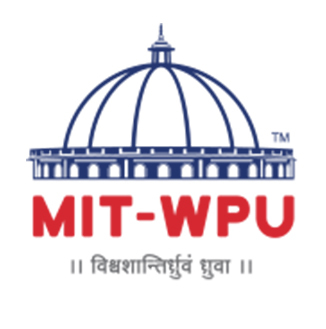 Here is provided the following important documents are given which are necessary for admission in this university. To enter university provides various UG and PG courses candidates will need to meet eligibility criteria. All the applier candidates must know about the eligibility criteria of that university to get admission so they will make ensure their eligibility. Here we are giving you the eligibility criteria for the Sido Kanhu Murmu University for different courses. M.A. Anthropology Graduation and a bachelor’s degree obtained through the 10+2+3 system or equivalent qualification with a minimum of 50% or equivalent CGPA. Relaxation of 5% is there for SC/ST candidates. Ph.D. Social Sciences Post-Graduation in a relevant discipline or an equivalent qualification with a minimum aggregate of 60% or equivalent CGPA of any of the Universities incorporated by an act of the central or state legislature in India. A Relaxation of 5% aggregate is there for SC/ST candidates. Candidates desire to get admission in Sido Kanhu Murmu University (SKMU) must check the Exam dates of SKMU Admission 2019 entrance exam. The authority of SKMU will upload all details & the SKMU Admission Dates 2019 on officially. Here we are providing you the tentative admission dates for Sido Kanhu Murmu University. For more latest updates stay connected with us. *NOTE: The Institute reserves the right to review the fee structure. (The Council/University fees may change as notified by them). Candidates can pay the fee as per the relevant course in the University office. If you any query regarding SKMU 2019 Application Form, you can ask your query leave comments below.